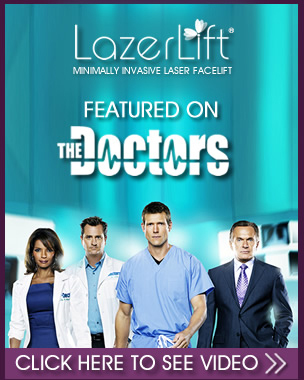 Thanks to groundbreaking medical technology, the LazerLift® offers an exciting new option for those seeking exceptional facial rejuvenation without invasive surgery. 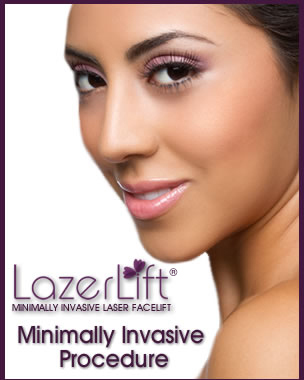 With LazerLift®, you can look as young as you feel and live your life with renewed confidence. The LazerLift® is a minimally invasive procedure that will tighten and lift your lower face and neck, reduce wrinkles and sagging, and leave you looking years younger. And just as important as what you get with LazerLift®, is what you don’t get: no risky general anesthesia, no extensive incisions, no unsightly scarring, and no extensive downtime. Tighten and lift lower face? YES General anesthesia needed?